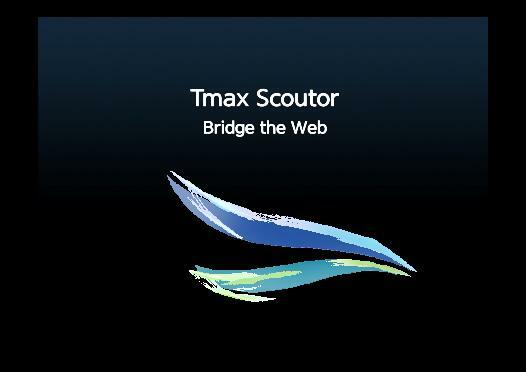 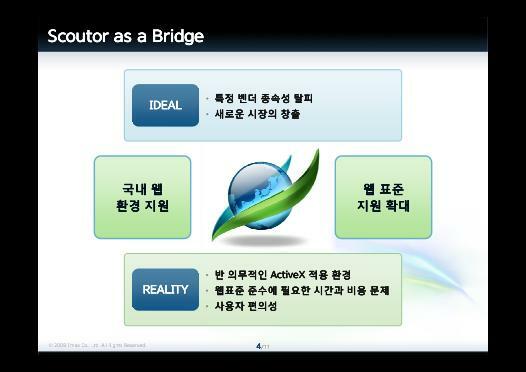 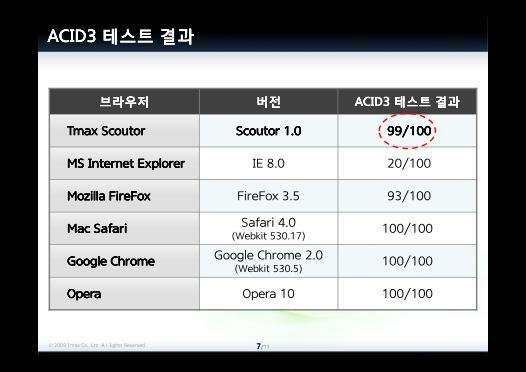 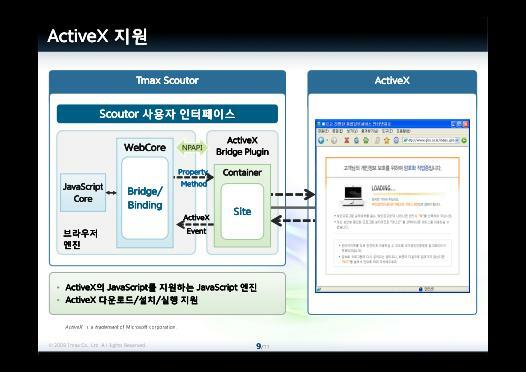 The following is the English translation of Tmax Scoutor presentation slides. 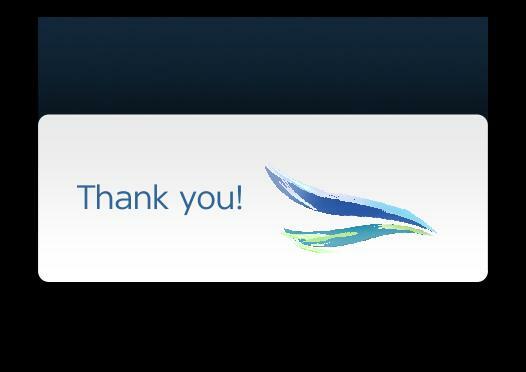 My own addition is in the [bracket]. 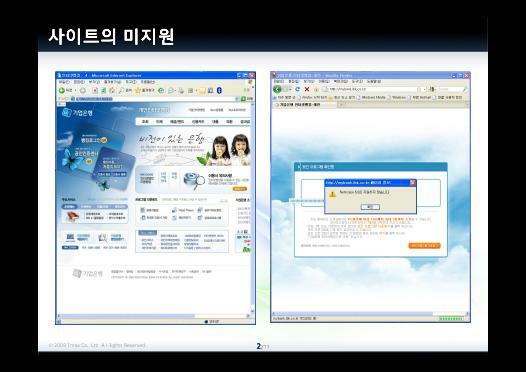 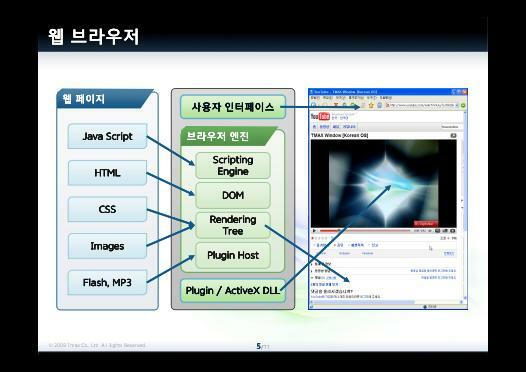 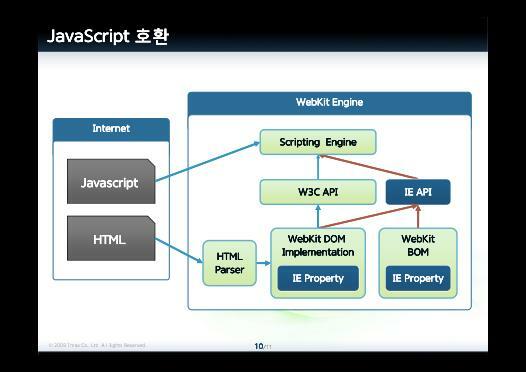 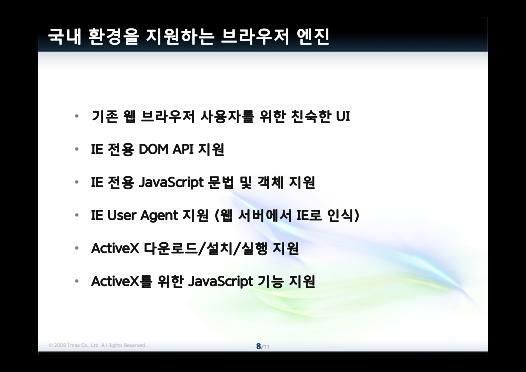 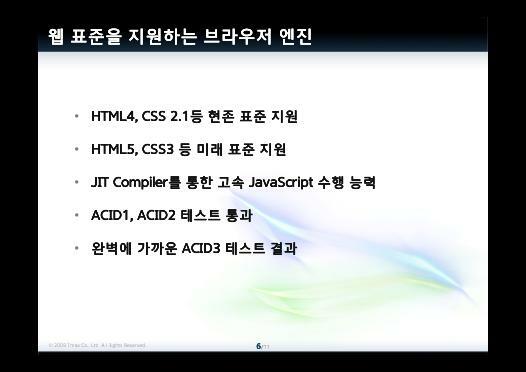 Why is only IE widely used in Korea? 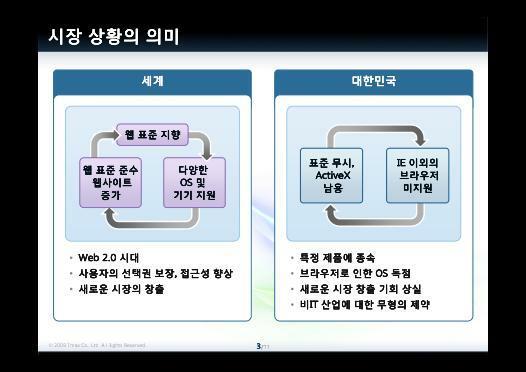 What The Market Share Means?